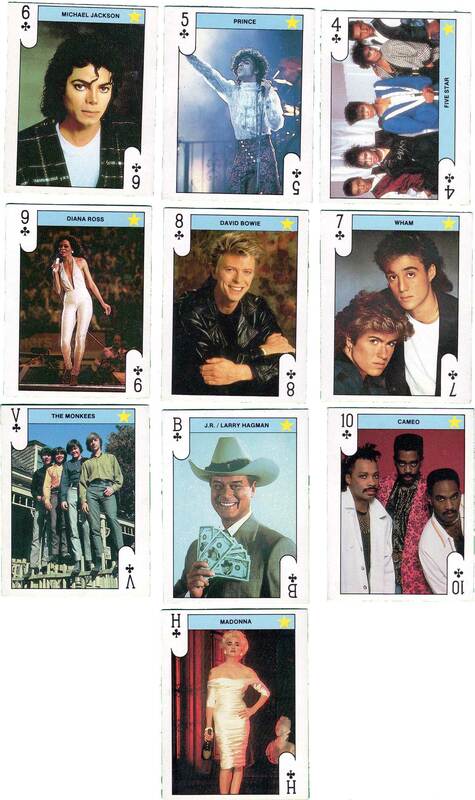 ‘Stars Play’ card set published by Monty Gum in Holland in 1988. Sold in bags of TV candy with playing cards, these were very popular among Norwegian kids - the candy bags came with a large variety of cards on subjects such as football, cinema or pop music. Above: ‘Stars Play’ card set published by Monty Gum in Holland in 1988. Card size: 2 1/8 x 2 5/8 ". Images courtesy Amit Benyovits.